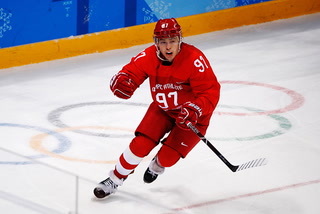 The Golden Knights signed forward Nikita Gusev to a one-year, entry level contract, but the team wouldn’t commit to using him in the playoffs. 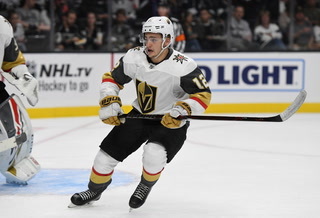 The Golden Knights added an impressive — and playoff eligible — talent to their roster Sunday. 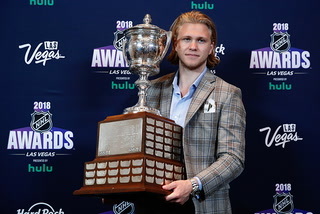 Now they have to decide if they’ll use him. 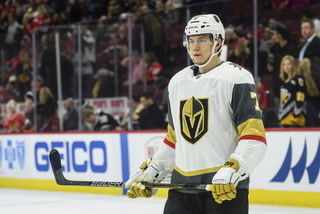 The Knights signed forward Nikita Gusev to a one-year, entry level contract, but the team wouldn’t commit to using him in the playoffs. 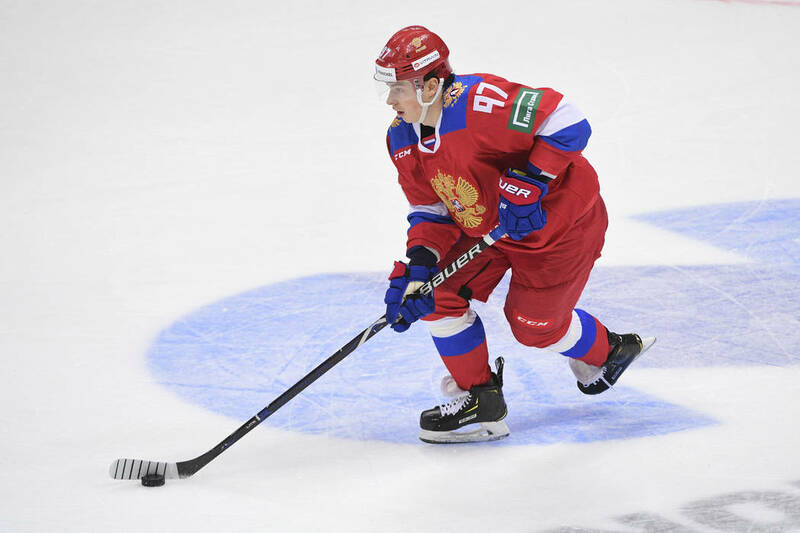 Gusev, 26, was named the MVP of Russia’s Kontinental Hockey League this past season. 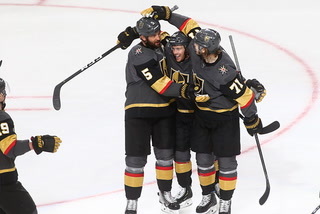 The winger scored 82 points — the second-highest total in league history — in 62 games. 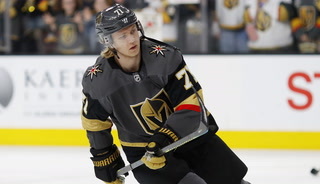 Gusev indicated in a face-to-face meeting with McPhee last year that he was ready to move to the NHL. 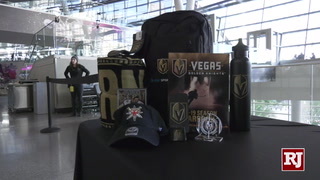 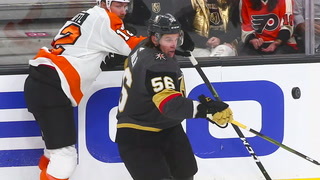 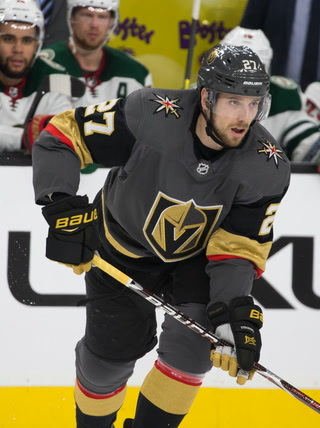 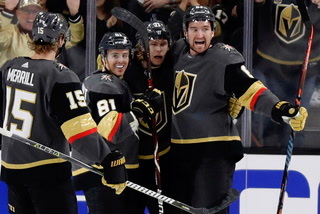 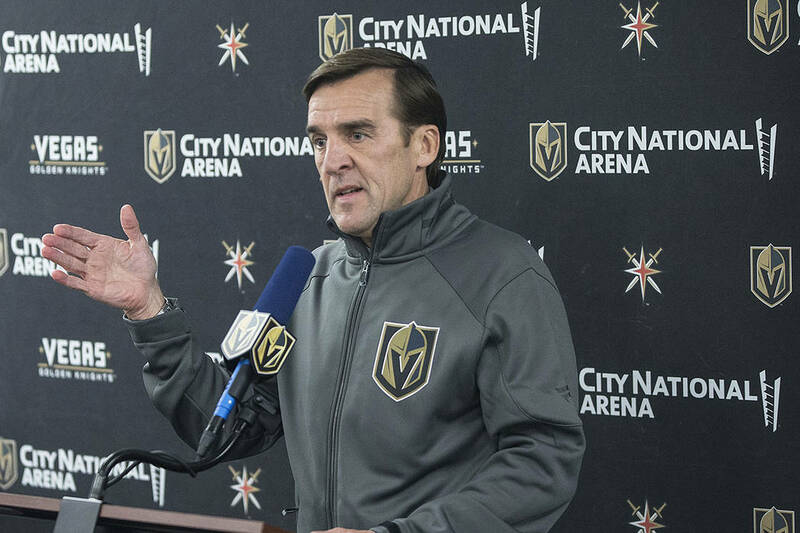 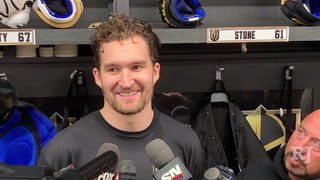 So he worked to get released from his contract with the KHL team SKA St. Petersburg on Friday — even repaying some bonuses in the process, McPhee said — and join the Knights. 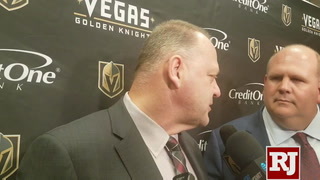 Center Pierre-Edouard Bellemare said he met his new teammate Sunday. 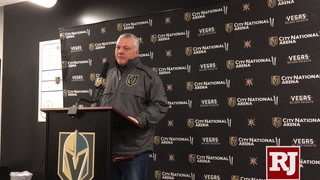 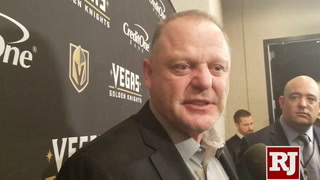 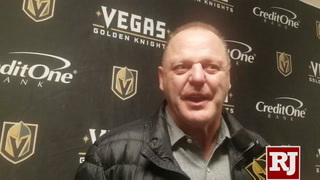 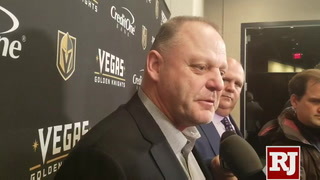 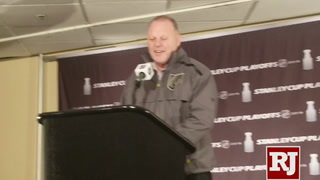 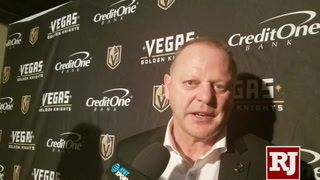 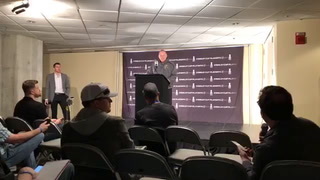 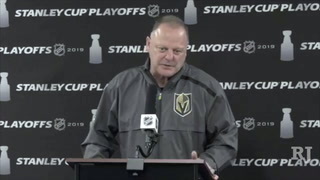 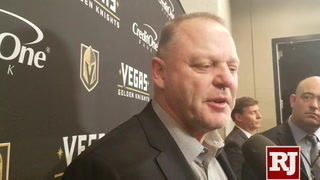 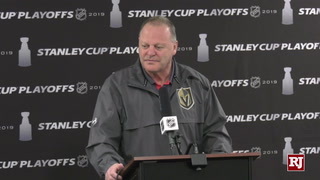 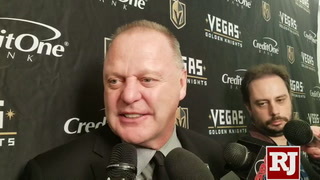 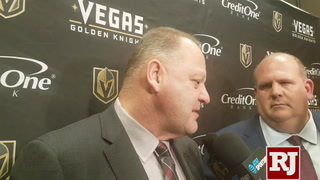 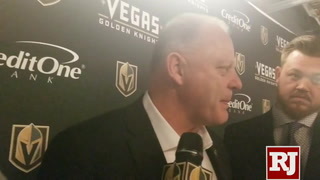 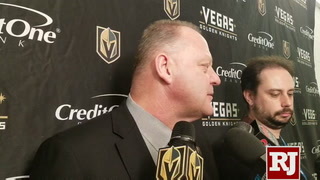 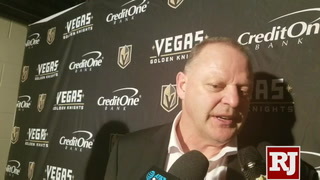 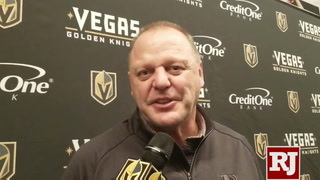 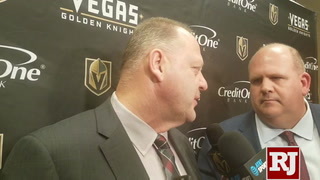 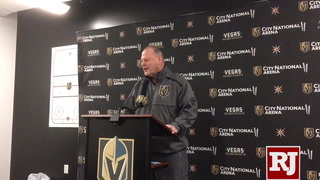 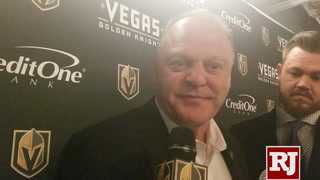 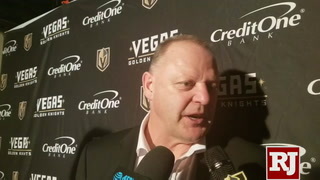 The team expects Gusev to practice Monday, but coach Gerard Gallant didn’t commit to what will happen after that. 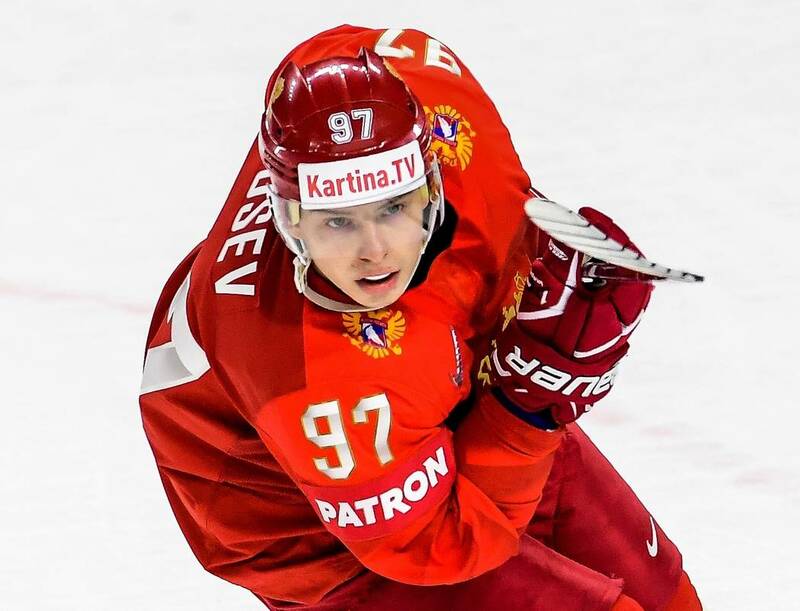 If Gusev were to play, the Knights would add a gifted right-shot forward with 332 points (119 goals, 213 assists) in 391 career KHL games. 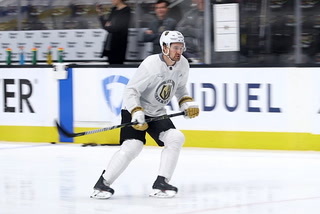 But he would need to adjust to a new continent, league and ice sheet (the Olympic rinks used in Europe are wider than NHL rinks). 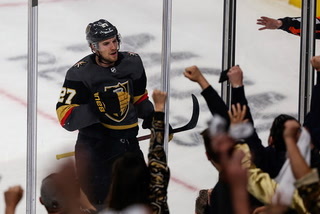 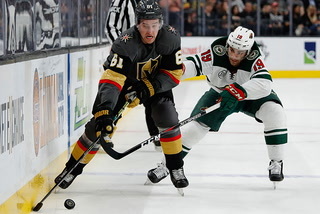 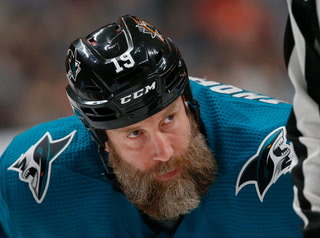 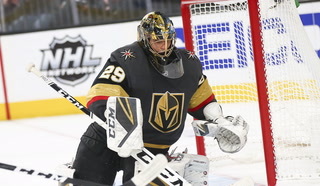 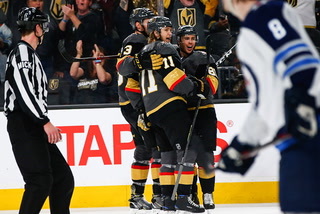 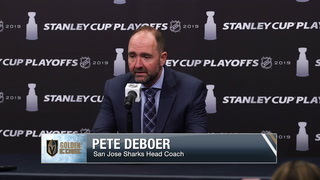 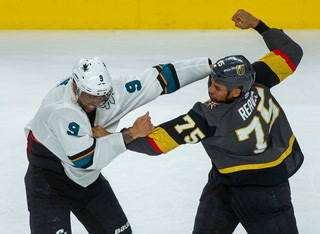 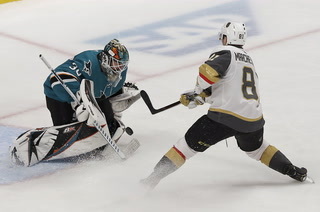 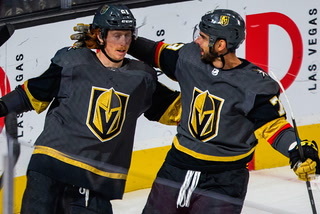 Even if he doesn’t appear in the playoffs, by signing his entry-level deal now he will become a restricted free agent this summer and be eligible to sign a long-term contract with the Knights starting July 1. 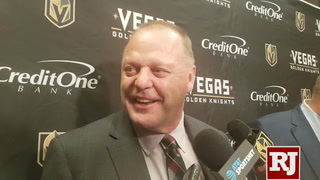 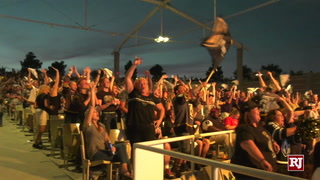 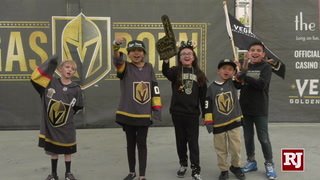 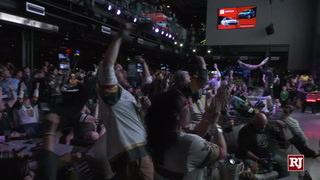 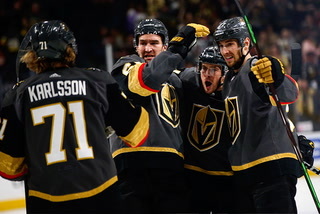 Getting that extension under the salary cap could be a challenge as the Knights have a projected $82.375 million hit, according to CapFriendly.com, against an expected $83 million limit for 2019-20. 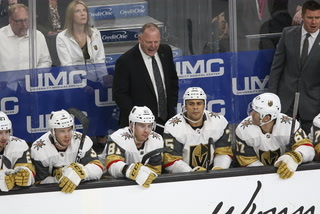 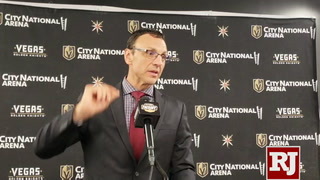 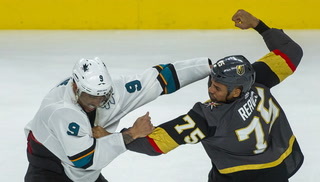 They will get additional flexibility once they place defenseman David Clarkson on long-term injured reserve, which allows them to exceed the cap by his $5.25 million hit, but their free agents include Gusev, center William Karlsson, forward Tomas Nosek, defenseman Jimmy Schuldt and goaltender Malcolm Subban (all restricted), along with Bellemare, forward Ryan Carpenter, forward Brandon Pirri and defenseman Deryk Engelland (all unrestricted).